Memorial Day week-end was a bit early to expect roses in bloom. 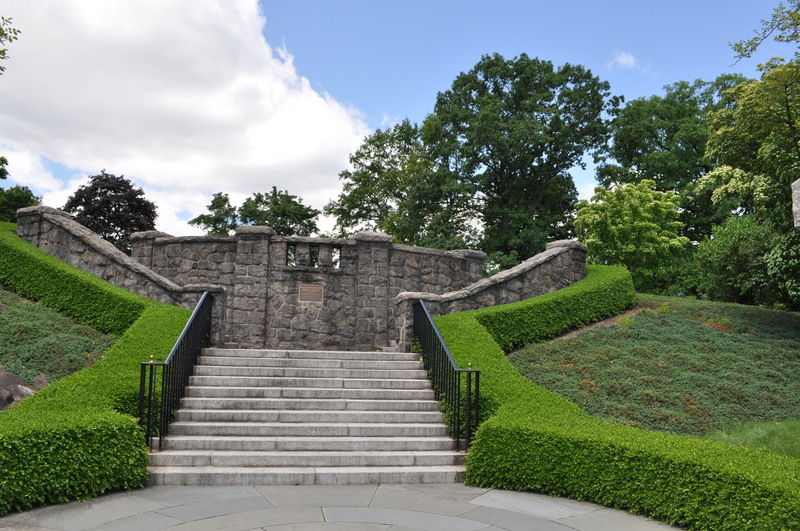 But you can expect the unexpected at the New York Botanical Garden. 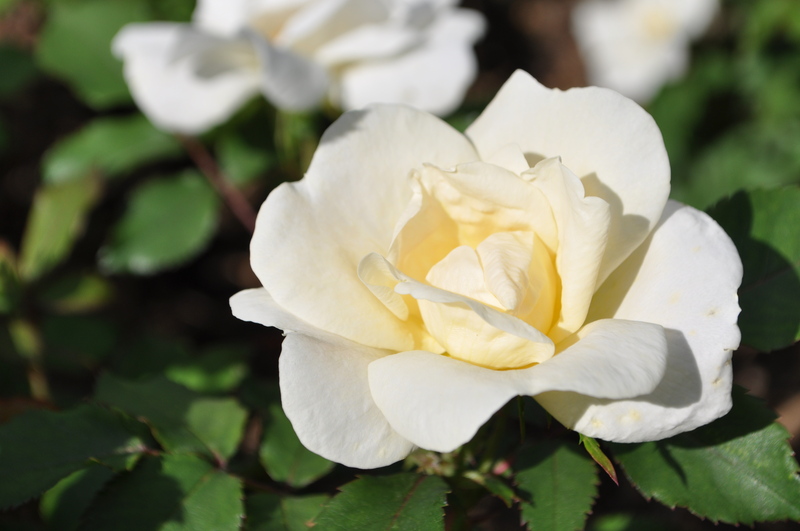 According to the Rose Watch on the NYBG web site, only 3% of the roses are in bloom. When seen from a distance, you might not think it worth the time to walk around the rose garden. But look at all the roses I found in bloom! 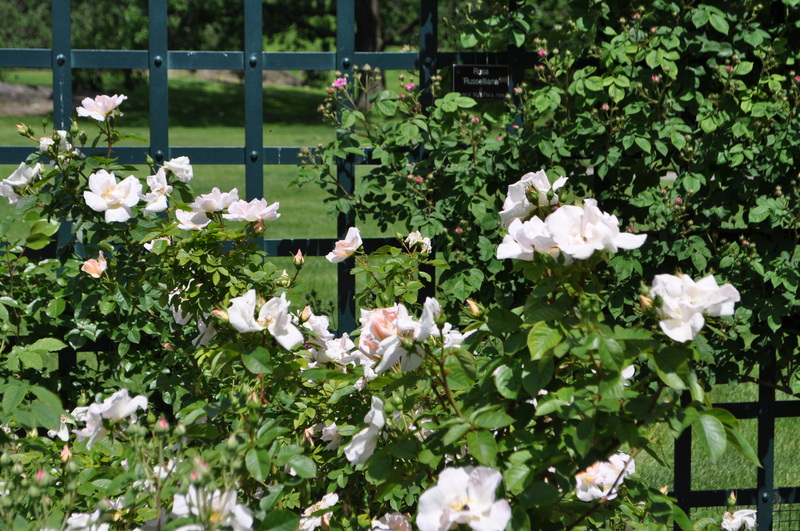 If you are a rosarian at heart, it is not to early to visit the Peggy Rockefeller garden. 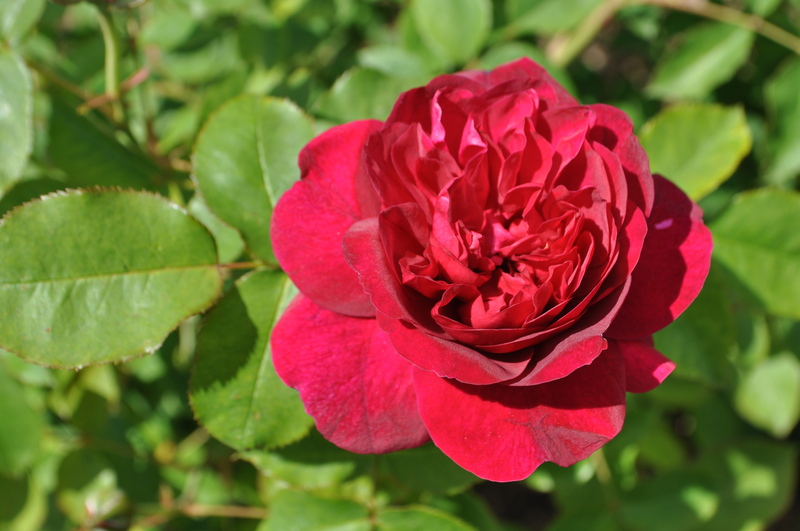 In my garden, Rosa innocencia was the first to bloom, followed by Teresa Bugnet and Roseraie de l”hay. 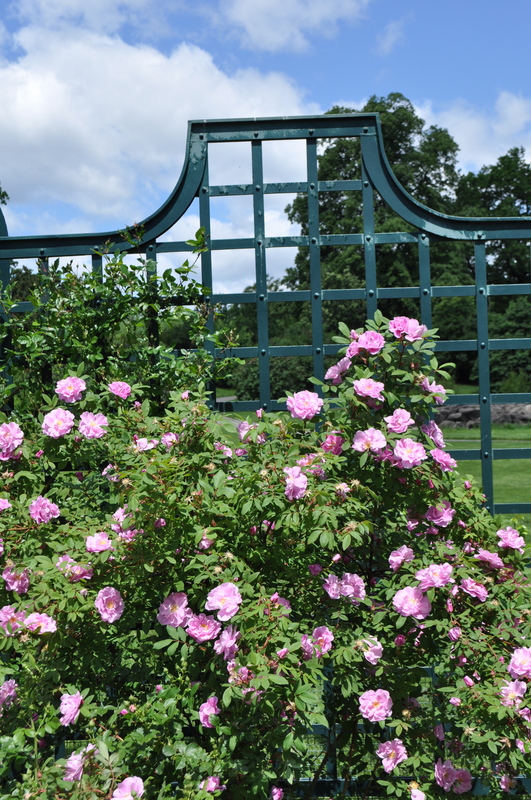 The rugosa roses , the sturdy stalwarts, are usually the first to bloom in this area. Are roses blooming where you are? 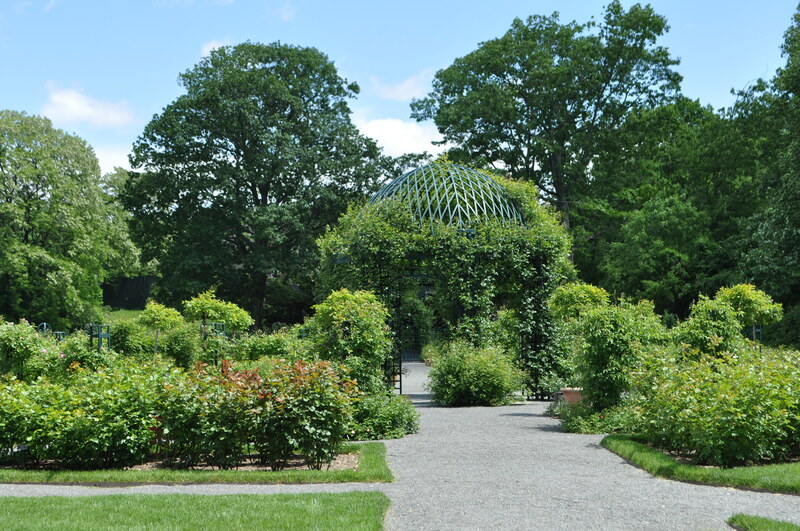 This entry was posted in Uncategorized and tagged New York Botanical garden, roses are in bloom, rugosa roses. Bookmark the permalink. My roses have just formed their flower buds. No, no roses flowering here yet, that is all to come. We have thousands of buds waiting to open, in the meantime I am enjoying everything else! The roses you found are beautiful, were they perfumed too? Looking forward to seeing your roses, and Pauline, I would say that a peacock is worth a hundred roses! Especially a pleasant peacock!! Thank you for the rose tour! I won’t ever get there ‘in person’. 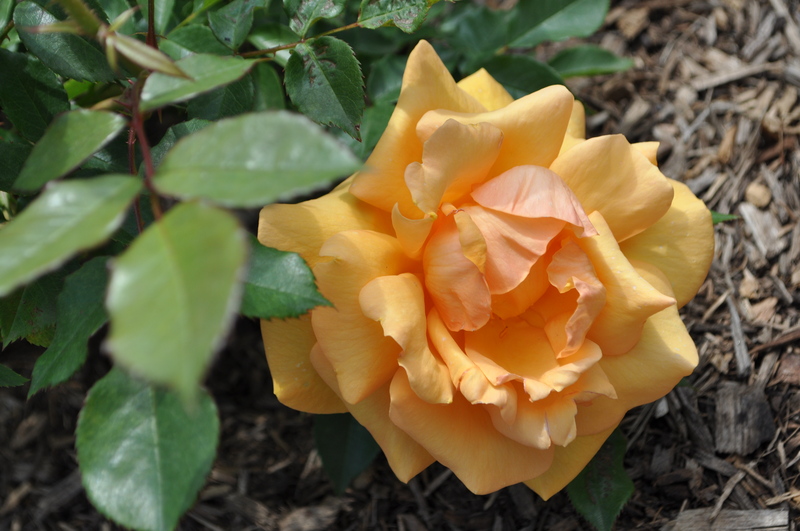 I love roses but sadly, have very few garden patches that get enough sun. I mostly garden in at least partial shade here. If I can ever expand my gardens, I’ll have more roses. I wish we had more sun so I could have peonies and roses! OHHHHH, you are speaking my language here; ROSE TALK! I want so badly to plant a William Baffin climbing rose…the color is so rich pink, but the vine is actually a shrub that takes over the planet! 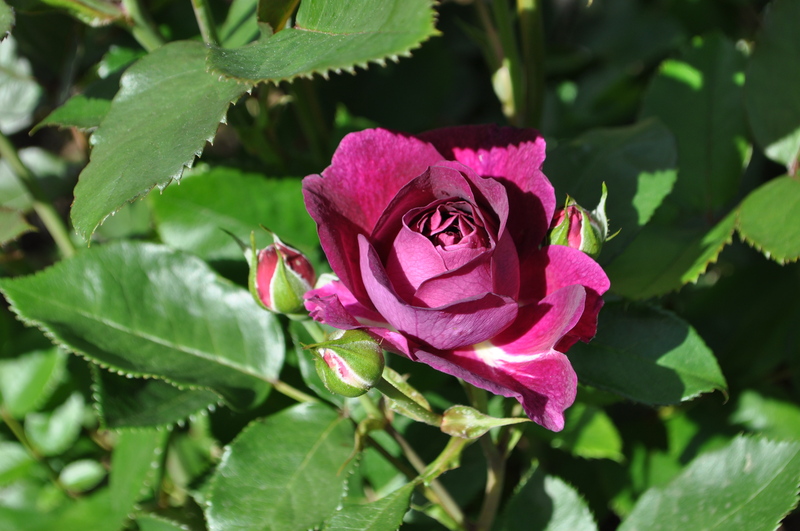 No roses flowering here yet either – I only have a few in the garden mainly because they don’t seem to like me and don’t flourish as they should. 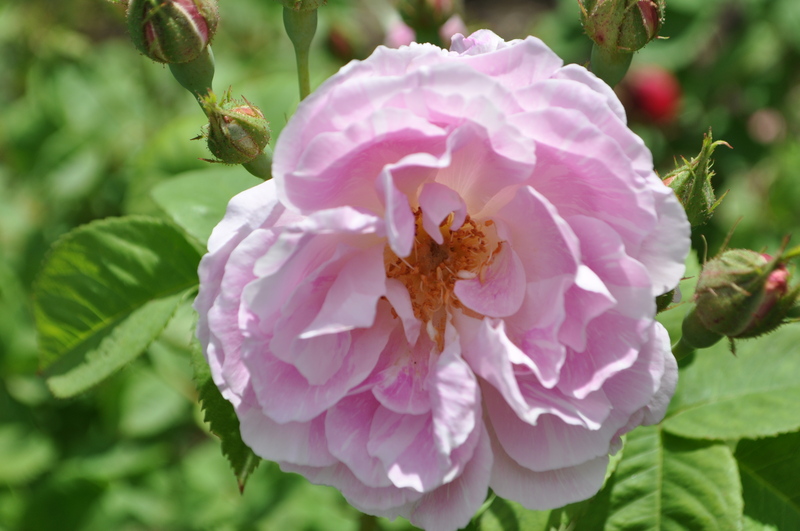 Hi Jayne, we have several David Austin old English roses growing up arches that are starting to come into flower now – not helped by the weather though. 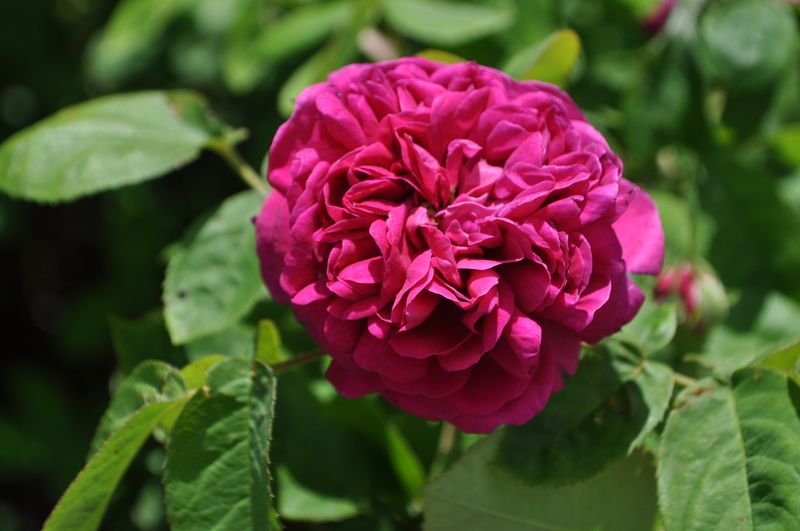 It starts with the Gertrude Jekyll (scent is out of this world) then the Graham Thomas, then Teasing Georgia (incredible form and colour). Finally we have a Strawberry Hill but that is still very young and it’s not going to flower this year due to the lack of warm weather (shame as it’s meant to have a wonderful smell).